ABOUT ONE IN three stillbirths in Europe occur before 28 weeks of pregnancy but are not officially recognised. An observational study of 2.5 million babies in 19 European countries, published in The Lancet journal, highlights the importance of accurate and consistent reporting of foetal deaths as early as 22 weeks. Dr Lucy Smith, from the University of Leicester in the UK, led the research. She said there are “major and serious gaps in our knowledge of the burden of stillbirth which will have significant unforeseen impacts on families”. “To a mother or father, a second trimester stillbirth is no less tragic than a stillbirth at 28 weeks of pregnancy or later. These parents also deserve recognition of their loss and accurate reporting of their child’s death to improve care and policy,” Smith said. A Lancet stillbirth Series published in 2016 found that half of the 2.6 million stillbirths that occur worldwide every year (98% in developing countries) could be prevented, and estimated that, in high-income countries, for every 1000 births around 3.5 babies are born stillborn. However, the actual figure could be substantially higher. The World Health Organization (WHO) recommends that international comparisons use a cut-off of 28 weeks of gestational age. However, at a country level, WHO identifies 22 weeks of gestation as a threshold for identifying stillbirth, and there are also major differences between countries in their registration legislation (in part due to differences in the perception of viability of babies born early), as well as differing policies on termination of pregnancy being reported as stillbirths, the researchers note. They used data from 19 European countries on pregnancy outcomes from 22 weeks of gestation between 2004 and 2015 to calculate overall rates of stillbirth and changes in rates between 2004 and 2015 by gestational age and country. In 2015, more than 9,300 babies were stillborn from 2.5 million births in Europe, and out of these a third were stillborn between 22 and less than 28 weeks of gestation and would have been excluded from WHO’s threshold for international comparison. 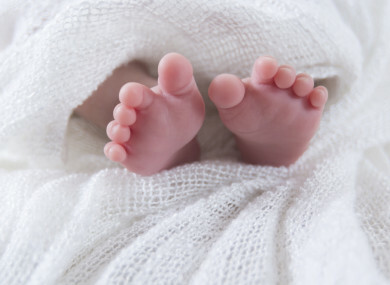 In Ireland, 65,913 births at 22 weeks or more were recorded in 2015. Of these, there were 17 stillbirths at 22-24 weeks, 51 at 24-28 weeks and 222 at above 28 weeks. A stillbirth can only be registered in Ireland if the baby weighed at least 500 grammes or had a gestational age of at least 24 weeks. If it doesn’t fit this criteria, it is known as a late miscarriage. Between 2004 and 2015, the overall stillbirth rate across Europe between 24 and less than 28 weeks of gestation declined from nearly 10 to seven per 10,000 total births, a reduction of 25%. This is similar to global figures of stillbirths over 28 weeks of gestation, which fell 25.5% worldwide (from 247 to 184 per 10,000 births) and 24.5% in developed regions (from 45 to 34 per 10,000 births) between 2000 and 2015. This suggests consistent improvements in the reduction of stillbirths from 24 weeks of gestation over time. Nevertheless, the variation across countries in stillbirths from 24 to less than 28 weeks in Europe ranged between four and eight per 10,000 total births (when excluding terminations of pregnancy) implying that a large proportion of stillbirths are still preventable. These results are consistent with the variation in stillbirth rates at later gestation observed in many previous studies in high-income countries. The authors point out that the consistency in reporting of these earlier stillbirths suggests that these deaths should be routinely included in international comparisons to help inform clinical practice and policy. In contrast, the overall rate of stillbirth between 22 and less than 24 weeks has remained unchanged since 2004, at around five per 10,000 births in 2015. The authors said that this is likely to be due to improvements in the reporting of deaths at these gestations. In 2015, rates of stillbirth (22 to <24 weeks) varied six-fold between countries ranging from more than two per 10,000 births to 17 per 10,000 births. The proportion of stillbirths at 22 weeks to less than 24 weeks of gestation in 2015 varied widely between countries, representing between 6% in the Republic of Ireland and 36% in the Netherlands or 23% in Hungary, if excluding countries where terminations were included. Less international variation was seen for stillbirths at 24 weeks to less than 28 weeks in 2015 where they represented between 12% in Latvia and 29% in Slovenia or 23% in Northern Ireland, if excluding countries where terminations were included. In 2004, the variation was less for births at 22 weeks to less than 24 weeks of gestation (4% in Portugal to 20% in the Netherlands) but similar for those at 24 weeks to less than 28 weeks (13% Denmark to 29% in Slovenia). The pooled estimate of the stillbirth rate at 22 weeks to less than 24 weeks of gestation for the 16 countries in 2015 was 0·53 per 1,000 births. In 2015, Ireland reported a rate of 0·26 per 1,000 births, compared with 1·73 per 1,000 births in the Netherlands – a six-times difference. This range was reduced to 0·26 to 0·69 when excluding countries where terminations were included, a three-times difference. Smith said wide variation in the number of stillbirths occurring between 22 weeks and 24 weeks is “likely to highlight differences in the collection of data across European countries rather than variation in underlying stillbirth risk”. “To ensure that the true magnitude and burden of stillbirth is understood, and to improve routine data collection for monitoring the outcomes and management of extremely preterm births from 22 weeks gestation, WHO’s threshold for high-income country comparisons should be lowered,” she added. Information about support for people affected by a stillbirth can be accessed here. Email “About one in three stillbirths occur before 28 weeks but are not officially recognised”. Feedback on “About one in three stillbirths occur before 28 weeks but are not officially recognised”.